Set the oven to 450f/232c. Mix the room temperature butter, panko and mustard in a bowl. You can add a bit of olive oil to loosen it up if needed. Add some salt and pepper. Lay out the fish onto a baking sheet covered with aluminium foil, and sprinkle the Southwestern spice mix and a bit of the mild chile. Add salt and pepper to the fish as well. Spread the panko mixture all over the fish in a relatively thick layer. Bake for 10-20 minutes, depending on the thickness of your fish, or until done (test with a fork). Serve with corn and artichokes or some other delicious sides!! mother. It is just. So. Good. We had it 6 months ago over the holidays and I couldn‘t stop thinking about it. Scrod apparently means something different in different parts of the US. On the East Coast it refers to the Catch of the Day, Others say it’s young cod, and some say it refers to any white fish. 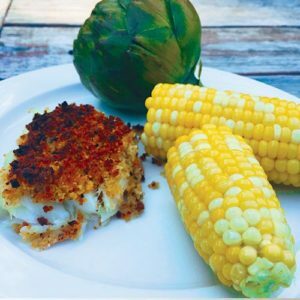 The word scrod is allegedly derived from the now-obsolete Dutch word schrode, which means “a piece cut off,” but I’m not sure if that helps us in our search for the truth about scrod. 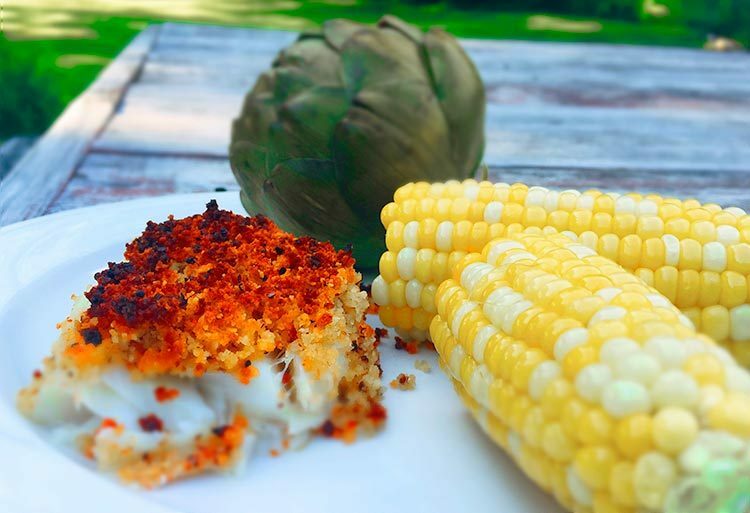 To cut a long story short you can use cod or any other fresh white fish in this recipe.